If you are renting a villa in Barcelona, it is highly likely that at some point in your trip you will be able to see the mighty Mount Tibidabo dominating the skyline. The mountain reaches a height of 512m, and is the highest mountain in the bordering back country of Barcelona. Upon reaching the peak, you will be rewarded with stunning views of the whole city with the Mediterranean Sea as a backdrop. If you are not up for a lengthy hike, there is a much easier way to reach the mountain’s summit. The best way to get to the top is first by tram, and then by using the funicular railway. The tram will stop halfway up the mountain, and the funicular will take you straight up the side of the mountain, an adventure in itself. The train has been in service since 1901, making it one of Spain’s oldest funiculars. 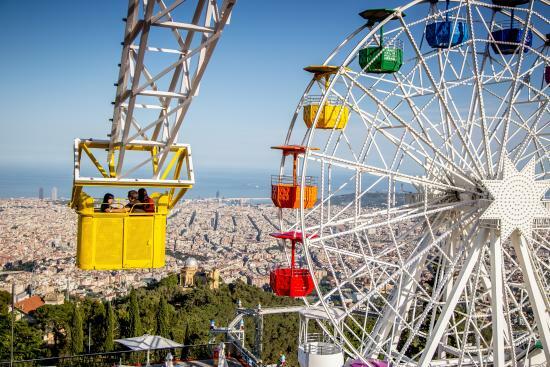 Although you wouldn’t expect it, one of Tibidabo’s main attractions is its amusement park that sits at the summit. Feel the adrenaline rush on one of the attraction’s many rides combined with spectacular views across the whole city. The park has six different zones to be explored, but currently is only open during the weekends. On the way to your Barcelona holiday rental, it is highly likely that you will spot this church dominating the horizon, no matter which way you enter the city. The church is almost out of a fairy tale with its tall spires and detailed décor. The Temple of the Sacred Heart was built between 1902 and 1961 and features stunning mosaics as well as a crypt that visitors can access. The viewing areas of the Torre de Conserolla offers some amazing views of the city. On a clear day you may be able to see all the way over to Montserrat mountain, or at least you Barcelona accommodation! The tower was used for the Olympic games back in 1992 and measures 268 metres high. It can be reached by with the mountain cable car, tourist train or bus. 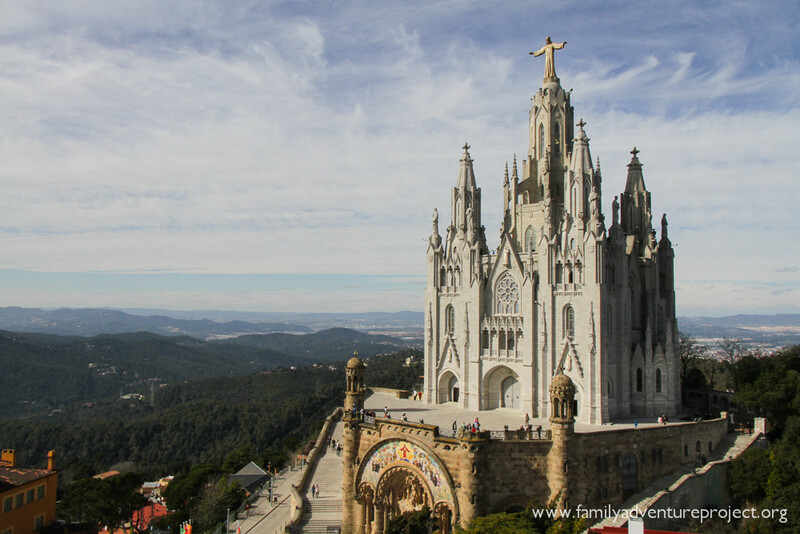 No matter where your vacation villa in Barcelona is location, a visit to the city wouldn’t be complete without a trip up the famous Tibidabo mountain.